There’s more to the Formula 1® Rolex Australian Grand Prix than ever before. Four big days means four big ways to enjoy The One big motorsport event of the year. 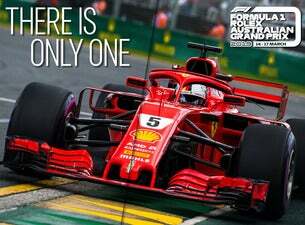 Each action-packed day is dedicated to an exciting and different aspect of the event, so there’s something new for every fan of the track for every day of Australia’s biggest motorsport event of the year.